An interesting alternative take on the all-in-1 bike tool. 15mm socket for tightening most track nuts. Plus 15mm pedal spanner, 10mm open spanner and 5 and 6mm Allen keys. 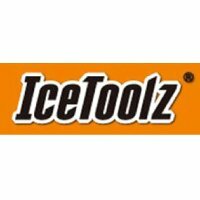 The Ice Toolz 34T2 offers an alternative take on the all-in-one tool. You get a 15mm socket for tightening most track nuts - hence this tool's name. You also get a 15mm pedal spanner, a 10mm open spanner and 5 and 6mm Allen keys.